The following is an alphabetically sorted list of all heros with their respective awakenings. I will try to keep this up to date as best I can, but due to my lack of most of the legendaries, I'd appreciate anyone who'd take the time to comment on any missing information. Considering the length of the list I'd recommend Ctrl + F if you are looking for a specific hero, as scrolling will take a while if it comes late in the alphabet. Peltrast - Ice and Fire. Ice Awakening: Every other basic attack now reduces the target's Magical Defense by 25% for 3 seconds. Fire Awakening: Every other basic attack now reduces the target's Physical Defense by 25% for 3 seconds. Ice Awakening: Siphoning Roots now additionally cleanses all debuffs currently applied to Akanth. Fire Awakening: Siphoning Roots additionally grants Akanth 300% Life Steal for 8 seconds. Fire Awakening: The first time Hymn of the Muses is cast, all allies gain 17.6% Basic Attack Speed for 6 seconds. Fire Awakening: Astrid now reduces all enemies Critical Strike Chance by 8%. Ice Awakening: When Atalanta deals a critical hit, she heals all allies for 5.5K health. Ice Awakening: Tide of War now additionally reduces Basic Attack Damage by 30% for 10 seconds. Ice Awakening: Upon reaching 15% health. heals himself for 50K health. Fire Awakening: Gaia's Hammer now additionally reduces Magical Defense by 40% to all enemies hit for 6 seconds. Ice Awakening: Briarus grants all allies 25% Critical Damage Bonus. Ice Awakening: Serrated Arrowheads now stuns enemies hit for 2 seconds. Fire Awakening: Wildwood Sharpshot now burns her primary target, dealing 6K Physical Damage every second for 3 seconds. Fire Awakening: Every other basic attack applies mortal wounds, reducing healing by 100% for 3 seconds. Ice Awakening: When health falls below 50%, Finn gains a 60K Health Shield. Fire Awakening: While above 50% health, Finn gains 17.6% Basic Attack Speed. Ice Awakening: Tyrant's Predation now additionally applies mortal wounds to enemies, reducing all healing by 50% for 9 seconds. Fire Awakening: Grants all allies 150% Physical Ability Power for 10 seconds at the start of battle. Ice Awakening: Tooth for Tooth now grants Goruk 50% Physical Defense for 5 seconds. Ice Awakening: Polybolos Punch now additionally grants Hadrian 50% Critical Damage Bonus for 8 seconds. Fire Awakening: Polybolos Punch now burns the target, dealing 5.5K Physical Damage every second for 4 seconds. Ice Awakening: Following 4 basic attacks, the next attack reduces the target's Physical Defense by 25% for 5 seconds. Fire Awakening: Following 4 basic attacks, the next attack deals a bonus of 3K True Damage. Ice Awakening: Following 3 basic attacks, the next attack deals 16K Magical Damage and grants the most damaged ally a 16K Health Shield for 10 seconds. Fire Awakening: Eye of the Erudite additionally deals 12K Magical Damage to surrounding enemies and heals surrounding allies for 12K health. Ice Awakening: Upon losing health for the first time, stuns the lowest health enemy for 6 seconds. Fire Awakening: Venom of Souls deals an initial burst of 30K Magical Damage. Fire Awakening: Litany of Scorn now purges all buffs from the neareest enemy to the primary target. Ice Awakening: Runestone Divination now purges one buff from all enemies. Fire Awakening: Runestone Divination now purges all buffs from the most buffed enemy. Ice Awakening: Templar's grace now additionally purges all buffs from enemies hit. Fire Awakening: Upon dropping below 30% health for the first time, Jocasta returns 2.8K Physical Damage back to ranged attackers for 20 seconds. Fire Awakening: Upon death. Kahara deals 50K Magical Damage to all enemies around her. Ice Awakening: While all allies are alive, Konamele gains 20% Physical Defense and Magical Defense. Fire Awakening: Every basic attack has a 30% chance to steal 20% Magical and Physical Defense for 10 seconds. Ice Awakening: The first cast of Champion Clash grants all other allies a 20K point Health Shield for 12 seconds. Fire Awakening: Upon Death, Leandros grants all allies a 26K Health Shield for 14 seconds. Ice Awakening: The first cast of Electric Smash now stuns affected enemies for 4 seconds. Fire Awakening: Electric Smash now burns the area around the primary target, dealing 4K Magical Damage every second for 4 seconds. Fire Awakening: Full Moon's Affliction additionally stuns targets for 3 seconds. Ice Awakening: Each time Megara loses 30% health, she gains a 40K Health Shield for 10 seconds. Fire Awakening: Megara gains 60% Movement Speed and 66.7% Attack Speed for 10 seconds at the start of battle. Ice Awakening: Matilda now periodically deals 2K Magical Damage to enemies around her every 2 seconds. Fire Awakening: Upon landing a critical strike: Matilda reduces Magical Defense by 60 for 6 seconds to nearby enemies. Ice Awakening: Following 3 basic attacks, his next attack steals 30% Energy Generation Rate for 3 seconds. Fire Awakening: Melchior stops all enemies energy generation for 3.5 seconds at the beginning of battle. Ice Awakening: Shattering Call now additionally purges one buff from all enemies hit. Fire Awakening: The unit initially deployed behind Melita gains 3K bonus Physical Damage on every basic attack. Ice Awakening: Twinblade Stomp now additionally applies mortal wounds to enemies, reducing all healing by 50% for 16 seconds. Fire Awakening: Upon dropping below 10% health for the first time, Nestor gains a 80K Health Shield for 10 seconds. Ice Awakening: Aegis of Splendor additionally reflects 3.2K Magical Damage to all enemies while the barrier persists. Fire Awakening: Aegis of Splendor additionally grants Nouri 100% Life Steal for 8 seconds. Ice Awakening: Deviant Shadowbind now stuns the target for 5 seconds and purges all buffs. Ice Awakening: Every 30% health lost, Pallas freezes all enemies Energy Generation for 2.5 seconds. Fire Awakening: Blast Shot now burns the primary target, dealing 5K Physical Damage every second for 4 seconds. Ice Awakening: Starts battle with a 14K Health Shield. Fire Awakening: Starts battle with 60% Magical Ability Power for 15 seconds. Ice Awakening: Every Basic Attack now additionally heals the most wounded ally for 2K health. Fire Awakening: Following 2 basic attacks, the next attack grants a random ally 17.6% Basic Attack Speed for 5 seconds. Ice Awakening: Increases Basic Attack Speed by 25% and reduces Basic Attack Damage by 10%. Fire Awakening: Each basic attack has a 15% chance to launch an extra magical projectile at the most injured enemy and deal 20K Magical Damage. Fire Awakening: Curse of Malady additionally applies mortal wounds to all enemies, reducing all healing by 50% for 5 seconds. Ice Awakening: Following 5 basic attacks, Sarpedon's next attack heals himself for 15K health. Fire Awakening: Soulful Shriek grants Sarpedon 30% Magical Penetration and 25% Basic Attack Speed for 8 Seconds. Ice Awakening: Sejiwan creates an aura around her, increasing allies movement speed by 40%. Fire Awakening: Sejiwan gains 100% Physical Defense for 12 seconds. Ice Awakening: Invocation of Ra now reduces enemies Basic Attack Speed by 31% for 10 seconds. Fire Awakening: Invocation of Ra reduces all affected enemies Magical Defense by 40% for 10 seconds. Fire Awakening: Setsuna starts battle with 25% increased Basic Attack Speed for 15 seconds. Ice Awakening: When the first enemy falls, grants all allies 40% Magical Penetration for 20 seconds. Fire Awakening: Winds of Daybreak increases allies Basic Attack Speed by 33.3% and decreases enemies Basic Attack Speed by 25.9% for 8 seconds. Ice Awakening: All allies gain 30% Magical Ability Power. (purge immune). Fire Awakening: Kismet Curse now throws an additional orb to a random enemy burning them, dealing 4K Magical Damage per second for 4 seconds. Ice Awakening: Upon dropping below 50% health for the first time, Takeda gains 100% Life Steal for 18 seconds. 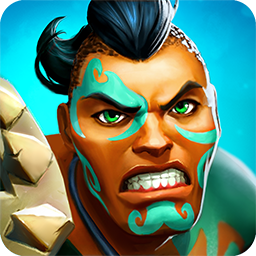 Ice Awakening: Iron Bullwark now returns 1.4K Physical Damage back to each attacker. Ice Awakening: Deathwing Assault now additionally applies mortal wounds to target, reducing all healing by 75% for 18 seconds. Ice Awakening: Upon an ally death, Tiandao immediately cleanses all allies. Fire Awakening: Fivefold Tenets of Sol additionally grants all allies 200 Magical Defense for 10 seconds. Fire Awakening: Unomsa now reduces all enemies Energy Generation Rate by 20%. Ice Awakening: Ferocious Bite additionally heals Xing for 30K health. Fire Awakening: Upon dropping below 25% health for the first time, Xing gains a 85K Health Shield for 10 seconds. Ice Awakening: The first cast of Great White Vortex reduces all enemies Basic Attack Speed by 23.1% for 10 seconds. Fire Awakening: Great White Vortex now burns all enemies hit, dealing 4K Physical Damage every second for 4 seconds. Ice Awakening: Following 4 basic attacks, the next attack grants 35% Life Steal for 8 seconds. Fire Awakening: Zhurak's first attack reduces the target's Magical and Physical Defense by 40% for 10 seconds. Ice Awakening: Blade Typhoon now reduces enemies Physical Defense by 30% for 10 seconds. Fire Awakening: Following 3 basic attacks, the next attack deals 14K Physical Damage in an area around her. Matilda fire: Upon landing a critical strike: Matilda reduces Magical Defense by 60 for 6 seconds to nearby enemies. Thanks for the help guys, the fire awakenings are now done, just one ice is missing. @KelTusad This will help a lot of new players. Thank you for your effort. Does anyone know Hiromi's awakening skills? Sorry I’ve been rather busy lately, I got Hiromi yesterday, so I can check and update the list. I’ll hopefully get around to it by the end of the day.